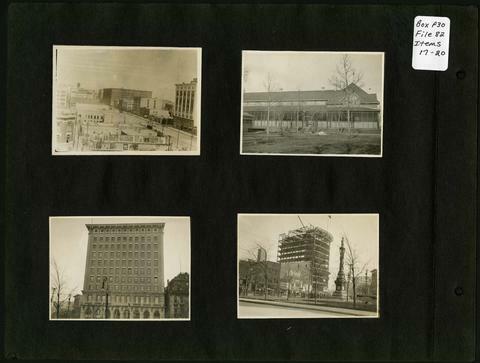 Royal Bank Building and Leland Hotel (Item 19), Construction of Confederation Building with Volunteer Monument in foreground (Item 20). Dates of photographs are approximate, [ca. 1913].